The continental shelf is approximately 30km offshore from Kiama. Our Deep Sea fishing charters travel out there to fish for deepwater species such as Blue Eye Trevalla, Gemfish, Hapuka and other fish that live in these waters up to 400m deep. This is a more specialised type of fishing where wind and current have greater effect, so we only fish with 3 large Alvey Reef King reels spooled with 200lb braid. Anglers usually pair off and take turns dropping, and then bringing in the lines. We recommend not more than 6-7 people so there aren’t too many people just watching. Catch is shared. 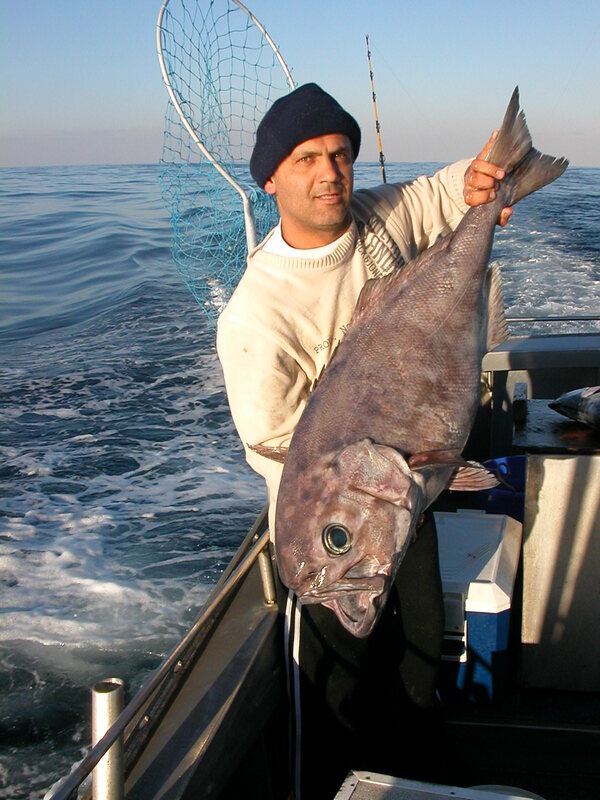 Deep Sea fishing is seasonal, generally during winter; May – September and is a longer day with a higher price. Cost is $1800 Boat bookings only. Groups are NOT combined for Deep Sea fishing. Maximum 6-7. Price valid until December 1, 2019. Deep Sea charters depart Kiama Harbour 6am. Returns approximately 4.30pm. Includes; bait, tackle, licence, morning & afternoon tea & tuition if required. Deckhand on board. A minimum of 50% payment is required within 7 days of reserving your fishing charter. Immediate payment is necessary for dates within 2 weeks. Refundable or transferable only if we have to call the trip off for a problem our end or, if the skipper thinks the weather will be unsuitable for fishing. Payments will be forfeited if your group is unable to honour the date, for whatever reason. Payable by internet banking, Direct Deposit to our account, Mastercard/Visa over the phone(fee may apply), cheque, money order (clearance required) or cash. Phone contact usually required to arrange the payment.